The flight had been arranged by secret military cable. An elaborate code of flares and signal fires was agreed upon, and the US Army Air Force’s 52d Fighter Group staged a midair diversion over the Adriatic Sea. But these attempts at subterfuge were of little use. There was no disguising the drone of the American B-17 Flying Fortresses as they passed over Banská Bystrica, Slovakia, on the morning of September 17, 1944. The sound had become familiar since the United States had entered the Second World War almost three years earlier; it was inevitably followed by bombs. On this day, though, the B-17s instead touched down on the dirt runway at Tri Duby airfield, miles behind German lines. When James Holt Green (MBA 1935) dropped out of the forward crew hatch he was surrounded by a throng of people—Soviet officers, Slovak partisans, American airmen, and local residents who had rushed to the airfield to see what was happening. Their clandestine arrival was “a carnival,” according to one of the B-17 pilots. The crowd burst into applause at the sight of Green in his full khaki Navy work uniform, with the single star and two stripes of a United States lieutenant (junior grade) on his shoulder. “What the hell’s the Navy doing here?” asked one American airman as five more men emerged. Despite Green’s uniform, the men weren’t there under the auspices of the Navy, but instead at the direction of the Office of Strategic Services, a nimble new intelligence organization that drew from all branches of the armed forces as well as the civilian ranks. Green and his men, all volunteers for this duty, were tasked with retrieving the American airmen who had been downed in Axis territory; about 60 were already gathered in Banská Bystrica. But that wasn’t their only objective. Victory over Nazi Germany finally seemed to be in sight. In June 1944, Allied troops had come ashore on the beaches of Normandy, pushing the Axis forces east as the Soviet Union forced them west. In late August, Allied tanks had liberated Paris, which had been under German occupation for more than four years, and the Soviets had entered Bucharest, Romania, which had allied itself with Germany in 1940. But each day of the offensive cost countless lives. It wasn’t enough to win the war; the Allies needed to win it now. That was the real mission—code named DAWES and HOUSEBOAT—of the six men who landed in Slovakia that morning: They were there to bring an end to the war. Green and his team were under orders to support the Slovak National Uprising. Three weeks earlier, Slovak partisans had risen up against the country’s Nazi-allied government. Parts of central and eastern Slovakia, including the Tri Duby airfield, were now under insurgent control. The OSS believed that a sustained Slovak rebellion could create a new front in the sprawling war, splitting the weakening Axis forces. The Slovak partisans just needed a little help holding the line until Soviet troops arrived from the west. James Holt Green had long wanted to wear a uniform in this war, but at almost 6 feet tall and not even 140 pounds, he didn’t meet the physical standards set by the armed services. When the 31-year-old registered for the draft in October 1940, his chest circumference measured several inches under the required size. But there were those within the US government who knew they needed more than fighters on the front lines. Green had the necessary skills to manage the business of the war, and the connections to get himself hired for the job. Green came from a respected North Carolina textile family. His mother’s people, the Holts, had owned mills throughout the state for a century, but when his uncle R.L. Holt died in 1923, it was Green’s father, Walter, who took over the remnants of his wife’s struggling family business. Their soft-spoken second son who introduced himself by his middle name, Holt was groomed to be the next caretaker. He enrolled at Harvard Business School in 1933 at the depths of the Great Depression, but left in January 1935 to return to the family business in the chaotic aftermath of the biggest textile strike the country had ever seen. In the years since he had helped to modernize the family’s flagship Glencoe Mills. Green’s genial manner and deep southern roots invited frequent comparisons to the character of Ashley Wilkes from the acclaimed 1930s book and movie Gone with the Wind. But Wilkes was a stereotypical, sheltered wealthy southerner who saw no use in war, while Green was eager to be a part of the cause his two brothers had already joined. It was “the job which he thought he should do,” his brother Bob explained. Green soon found his business know-how had earned him notice within the new Office of Strategic Services. Established by presidential order in June 1942, the OSS was charged with collecting and analyzing intelligence and running counterespionage missions, a predecessor to today’s CIA. Its first head, Colonel William Donovan, had only one requirement when it came to recruiting: find the best person for the job. So when he needed to staff the Special Funds Branch, which would finance the organization’s clandestine activities, Donovan turned to Wall Street and the country’s top colleges, tapping investment banker Lane Rehm to lead the branch. As Rehm began to put together his team, he recruited Green for the Special Funds Branch, and the “physical defect” that had kept Green from joining the war effort was cured with a little strategic lobbying. In February 1943, Green received his commission as a lieutenant (junior grade) in the United States Naval Reserve and was promptly assigned to the OSS office in Cairo, Egypt. The OSS was an elite group. Only about 20,000 men and women worked for the intelligence service over the course of the war—out of 16 million who served in a US uniform—and only a third of those were given an overseas posting. 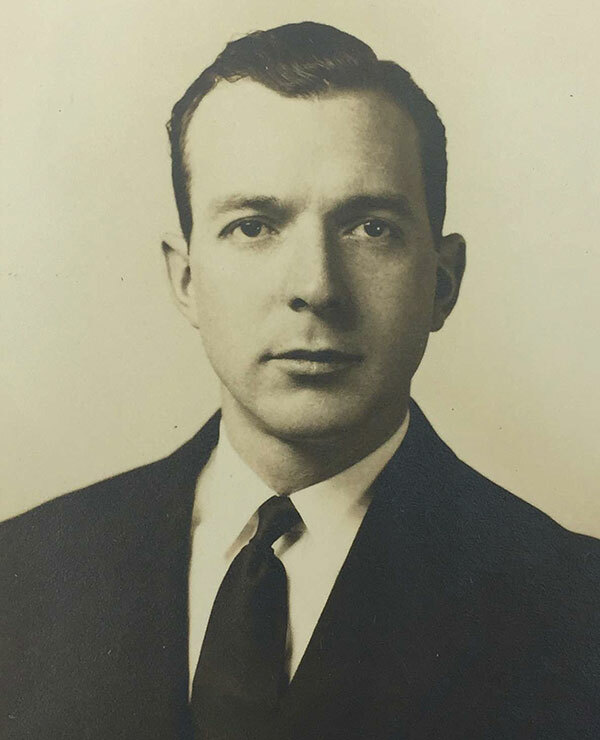 Green’s fiscal management and office leadership in Cairo received high marks, but being an OSS administrator was not enough; within six months, he was campaigning for a spot in Special Operations. In January 1944, Green parachuted into Axis-occupied Yugoslavia, where he spent several successful months working with the British to rescue dozens of Allied fliers downed behind enemy lines. One later remembered the oddity of finding a “southern gentleman” with “infinite patience, dogged perseverance, and a swell sense of humor” in a small town near the Albanian border. “He met me with chocolate and a pack of Camels,” the airman recalled gratefully. For his new mission in Slovakia, Green requisitioned more candy and cigarettes—and thousands and thousands of guns. Banská Bystrica had become the capital of the Slovak National Uprising. Now that German troops had been evicted from the medieval city, partisans marched through the streets, and Free Slovak Radio began broadcasting. The OSS team established their office in a well-appointed villa with “all the trimmings” that had until recently been occupied by the Gestapo, and conditions for the operation were “almost unbelievable,” Green cabled his superiors at an Allied air base in Bari, Italy. His visits to the front had been, he said, “great fun.” Morale was high, and Green was optimistic about the mission, as was his nature. To everyone’s surprise, a four-man team headed by Major John Sehmer of the British Special Operations Executive—the inspiration for the OSS—parachuted into Banská Bystrica soon after with much the same orders as the OSS agents. The American and British teams got to know each other at a lavish dinner party thrown by Brigadier General Ján Golian, leader of the Slovak uprising. But artillery fire echoed in the distance. The German troops were advancing more quickly than the OSS mission planners expected, and the Soviet forces were stalled. On September 22, just five days after his arrival, Green cabled Bari: “Believe situation likely become critical.” He renewed his request for guns and for 10,000 first-aid field dressings for the partisans and asked for the immediate evacuation of more downed American airmen who had made their way to Banská Bystrica. Instead of planes and supplies, Bari sent additional intelligence requests and notified Green of its plan to deliver more OSS agents. “Do not—repeat—do not send any more men in except another radio operator,” Green responded. Bari’s response: “Cannot help.” Bad weather grounded the planes in Italy for more than two weeks. When the six B-17s finally broke through the cloud cover above Tri Duby on October 7, it was a “beautiful” sight, noted one observer. The planes brought not only much-needed supplies, but also the personnel that Green had unsuccessfully argued against. Here were 14 more men—including Joseph Morton, an Associated Press correspondent who called this “the biggest story of my life”—for whose safety Green was now responsible. The machine gun volleys of the approaching German forces could be heard even as the men unloaded the planes. When they took off again 30 minutes later, 26 more American airmen were on their way to safety. “This is the final contact from here,” Green wrote on October 25. The next day, the airfield fell to the Germans. The uprising had collapsed. Now the OSS team had a new mission: survival. As wounded Slovak soldiers retreated into Banská Bystrica to escape the German advance, Green pleaded with Bari for another plane. The Soviets managed to land frequently to resupply their forces and evacuate civilians and wounded soldiers, but Bari hesitated. Finally, on October 18, Bari agreed to send a flight “soon” to pick up more downed American airmen. Days passed. Each morning the men would repair bomb damage to the airfield and then wait and wait for the sound of the B-17s. Desperate to get the men out of the country, Green tried to negotiate space on a Soviet flight. They refused the American officer’s request. “This is the final contact from here,” Green wrote on October 25, as the OSS agents destroyed classified records and gathered what supplies they could. “The situation here is very serious, so we will move into the hills north of here.” The next day, the airfield fell to the Germans. The uprising had collapsed. Now the OSS team had a new mission: survival. At 3 a.m. on October 28, Green transmitted another message, this one from Donovaly, a town about 15 miles from the former rebel capital: “Believe situation getting worse. Possible we may discard radios, but keep listening. … Have arranged to split into four groups if necessary… Organized resistance rapidly deteriorating. Believe…” His transmission deteriorated into gibberish, and then the radio went silent for 38 days. For weeks Green and his team fled through the Slovak mountains and the harsh weather toward the safety of the Soviet Army, whose move westward had been halted. On the eastern front, too, the Germans had stopped retreating, launching a surprise offensive that would become one of the bloodiest of the conflict, the Battle of the Bulge. Green knew little about these events. He was focused on finding his team a warm place to sleep and enough to eat. Some nights they took refuge in a sheepherder’s shed or in makeshift barracks of the partisans, but other nights they huddled around a fire in the forest, ice forming on their eyebrows. It was an ordeal that Green’s survival training in a bucolic Virginia national park two years earlier had left him ill-prepared to face. Still, he attempted to keep discipline and decorum among the team. “Stand tall and act like American soldiers,” he had admonished them a few weeks into their grueling march. “We’re on a military mission for the United States, not a bunch of ragtag wanderers!” The men had immediately done what they could to bring their dirty uniforms back to their proper appearance, though they continued to hobble along on frostbitten feet. Green had also forbidden the group from stealing food. They still had gold coins, which Green had distributed among the men, and would buy what food they could. One night, however, the team discovered that their limited food supply had been stolen by some of the partisans they were lodging with. Green first tried to buy the supplies back. When that failed, he gave his team permission to steal when they needed to. There was no other way to survive. Their numbers had dwindled. Many of the American airmen who had arrived in Banská Bystrica in hopes of evacuation chose to surrender to the Germans, but the OSS team did not have the same faith in the enemy. Though they wore uniforms—and should, therefore, be protected under the Geneva Conventions—they feared they would be treated not as soldiers but as spies. Green worried for the fate of those members of his team who had been captured during their flight. Some had also joined the group as it traveled, including the British SOE team and Maria Gulovich, a Slovak partisan who served as a translator. One night, Green and several others ventured out to evaluate the situation. On their sortie, they blew up a railroad tunnel, blocking the German troops from 400 miles of vital railroad tracks. It was just before Christmas 1944 that the team regrouped at a small shack camouflaged with pine boughs near the top of Homôlka Mountain. The situation seemed dire. Some 3,000 enemy soldiers occupied Polomka and Hel’pa just six miles away, making it ever more difficult to find the supplies they needed. But the OSS and SOE agents were not ready to give up. Green had declined an earlier invitation for him and his team to join the Soviets who were launching attacks on the German troops as they fled Banská Bystrica. He knew the OSS agents were not trained infantrymen. But the intelligence they had gathered gave them other ways to thwart the Germans. One night, Green and several others ventured out to evaluate the situation. On their sortie, they blew up a railroad tunnel, blocking the German troops from 400 miles of vital railroad tracks. It was a small victory, but the daring strike only made the enemy more determined to flush out the Americans and Brits they knew to be hiding in the mountain range. Still there was reason for hope. Green had managed to send a message to his superiors in Bari through British radio channels: “All equipment lost[.] Majority in bad condition because exposure[,] frozen feet[,] exhaustion from long mountain marches[,] and starvation diet[.] Drop soonest…” Green did not know if his plea had been received, but he decided to hold their position on Homôlka Mountain. Each night some of the team lodged at Vel’ký bok, at the summit of the mountain, to stoke the signal fire in hopes that the US Army Air Forces would bring relief. The blessing would not last. On the morning of December 26, another cloudless day, as some of the men were cooking breakfast, bullets pierced the roof and walls of the shack. Green was shot in the arm. Surrounded by German forces, the occupants surrendered. Green, six of his OSS colleagues, Sehmer, and AP correspondent Joseph Morton were among those captured. Only a few members of the group, including Maria Gulovich, who had hiked up the mountain to Vel’ký bok after Christmas dinner to tend the signal fire, escaped the German assault. The next day US planes dropped the supplies Green had been waiting for, along with letters from the team members’ families, letters that would never be read. “Can you tell me if anything has been heard of from any of the men who were with Holt?” Green’s mother, Daisie, wrote to Lane Rehm, the man who had recruited her son into the OSS. It was May 1945, and the family had recently received a letter informing them that Green was now considered missing in action. Rehm told her to have faith. “Miracles were happening there every day,” he said. But the intelligence agency already knew there would be no miracle. Slowly, over the preceding months, the OSS had pieced together the last days of the DAWES and HOUSEBOAT missions. Green and those taken prisoner alongside him had been shuttled back to Banská Bystrica, where the Gestapo again resided. There the prisoners were treated with surprising courtesy; Green was rightly suspicious. Their final destination was to be the Mauthausen concentration camp in Austria. An estimated 90,000 people would die there before the end of the war. Commandant Franz Ziereis, who oversaw the brutality at the camp, supervised the beatings and interrogations of the OSS team personally. He interrupted one to demand that Green—the “gangster,” as he called him—remove the lieutenant stripes from his uniform. The Germans were again on the retreat on both the eastern and the western fronts when, on January 24, 1945, Green was led into a small room and positioned in front of a camera on a tripod. An SS officer raised his gun and shot James Holt Green in the head. 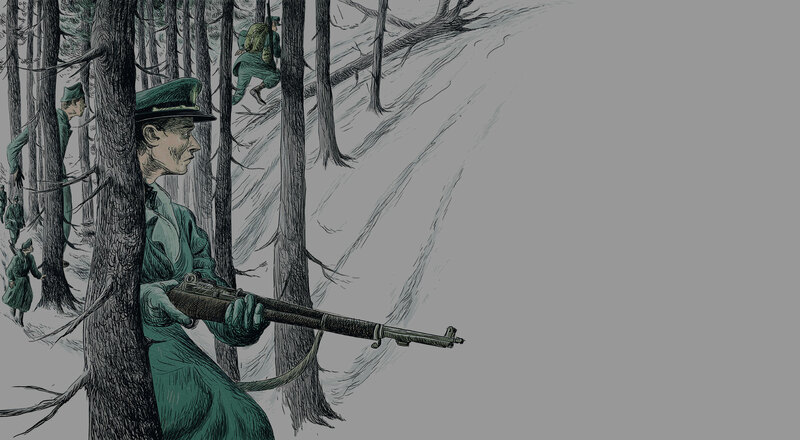 Over the next several weeks, all of the prisoners of war captured at the shack would be executed—but some who had followed Green through the mountains survived to tell the story of the mission. 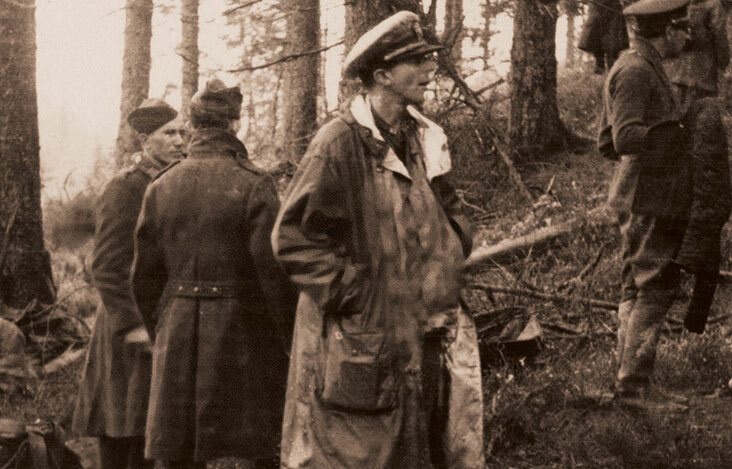 Wrote one in a now-declassified report: “Without [Green’s] perspective and good judgment, conditions in the mountains might have been entirely different.” Green would be posthumously awarded the American Distinguished Service Cross for extreme gallantry and the Czechoslovak War Cross. No, he and his men had not hastened the end of the war in Europe, which continued until May 8, 1945—that had been an impossible mission. But despite being surrounded by enemy forces, they had rescued dozens of American fliers and had sent hundreds of cables filled with intelligence gathered from behind Axis lines. After Mauthausen was liberated on May 5, 1945, an OSS officer named Jack Taylor returned to the camp. He had also been imprisoned there. Now he was collecting materials to bring its interrogators and executioners to trial for war crimes. In Commandant Ziereis’s desk he found one final message from the leader of the OSS mission in Slovakia, a damning piece of evidence of the mistreatment of prisoners of war: the Navy insignia Green had worn so proudly. Note: This story is based primarily on extensive records of the DAWES and HOUSEBOAT missions, including James Holt Green’s cables, preserved at the National Archives and Records Administration, and on the research of Jim Downs and Edward Hymoff. The reporting of Joseph Morton, the Associated Press correspondent, was lost in the war.